Every bride looks forward to her big day. From the time she's a little girl, she plans and envisions what her wedding day will look like as she walks down the aisle to her handsome groom. The day is finally coming. She has the man, the ring, and the date all set. She and her family have visited several dress shops, and she has decided on the one to wear on the day she will become a wife. She arrives at tailor shop ready to make the dress her own. Besides the typical hemming and cinching, there are many trimmings for dresses that a tailor can use to transform a bride's gown. Classic laces added to the hem or bodice of a dress add a slight accent. They can also be used to add straps to a strapless dress, completely transforming the look. Fringes, furs, and feathers add a lot of trendier detail to a wedding gown. For a Great Gatsby theme, add some fringe down the side of the dress or in levels down the skirt of the dress. Feathers add a white elegance starting at the waist and going down. Appliques can transform the bodice of a wedding gown, or even the neckline with a unique collar. A variety of beads add glisten to the dress. 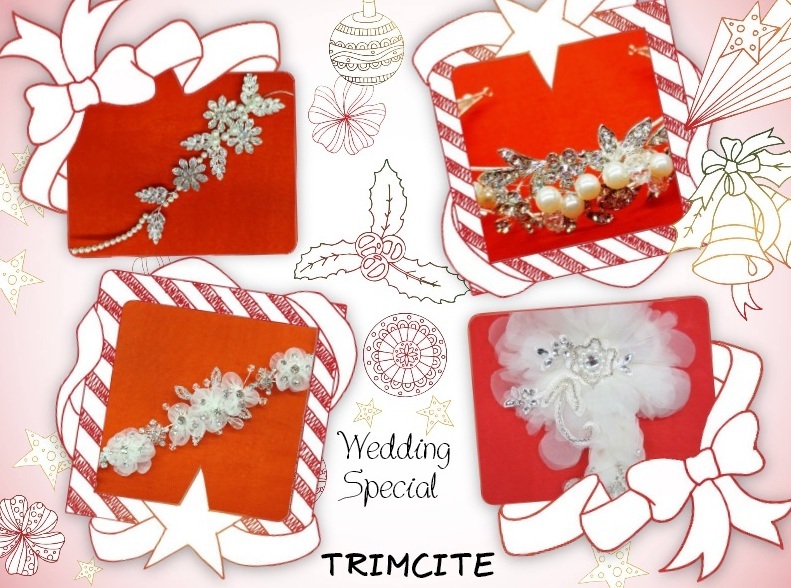 To find a wide array of trims to give wedding gowns a truly unique look, contact us. There are no style limitations to the transformation that a gown can take with the right trim. 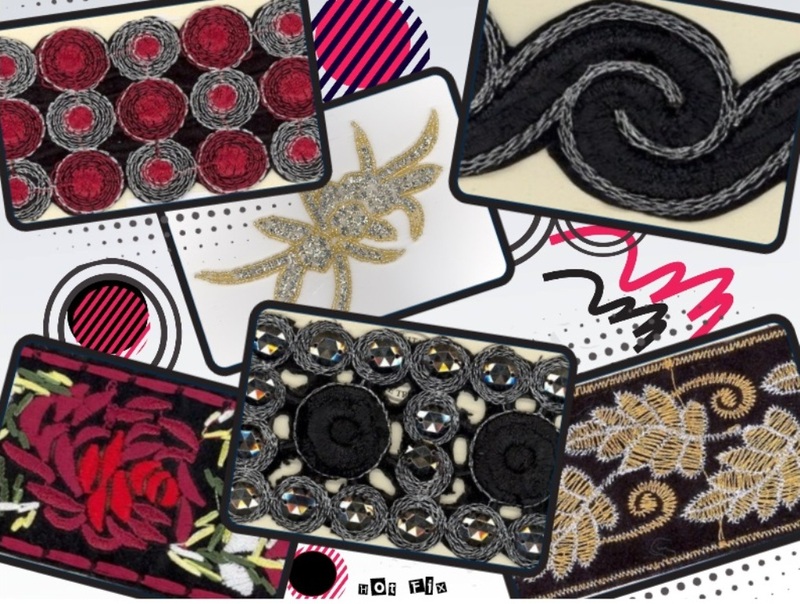 When one of the finest Italian luxury fashion houses chooses to make a statement with rhinestones and appliqué, the fashion world takes note. That's exactly what Dolce & Gabanna did in their Fall and Winter 2015 collections. 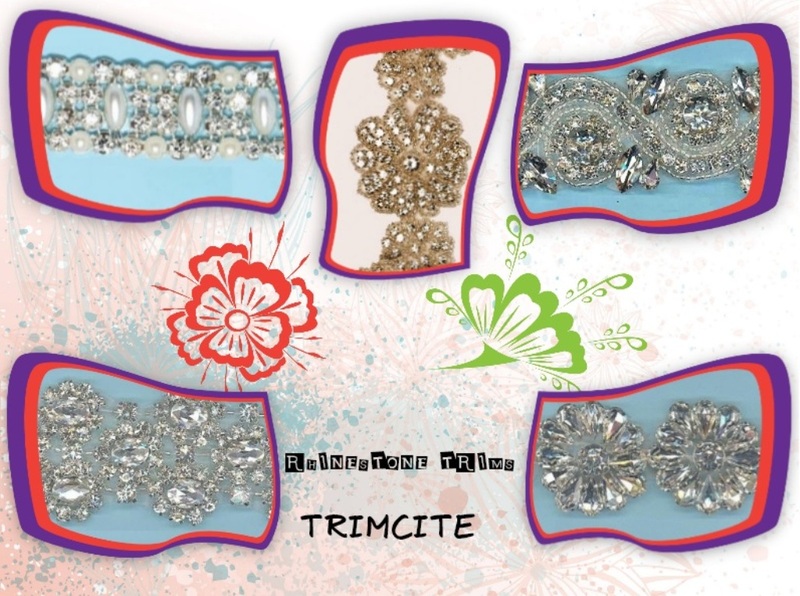 From the rhinestone encrusted delicacies of the Alta Moda collection that float like ballerinas to the strategically placed brocade in the tres haute diva collection, trimmings are the medium of adornment in the fashion house this season. Even their nostalgic "I love you momma" ready-to-wear collection deftly utilizes trim adornments with a twist of childhood whimsy and retro 50s flair. 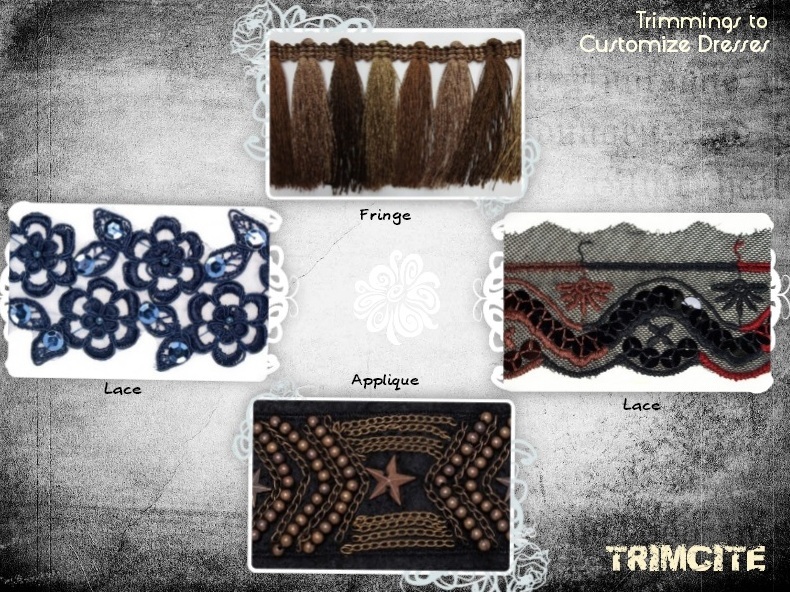 Rhinestone fashion and brocade fabric are definitely center stage this season, and the collections also suggest inspiring new ideas for incorporating trimming of any kind. Here are some trends we expect to see a lot more of in the next few months. This season it all starts with the shoes. The bolder your use of the sewing notions, the better. 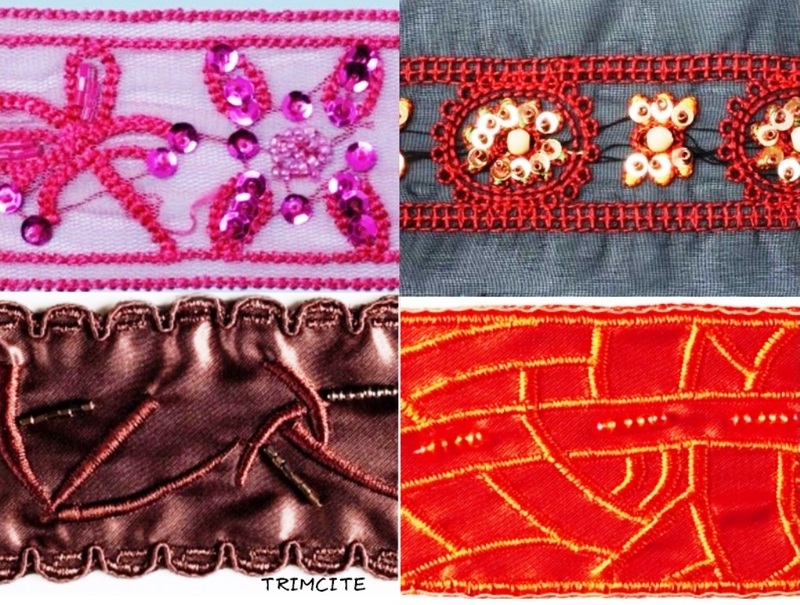 Play with hot fix trims, rhinestones and appliqués to create a fun fashion statement. 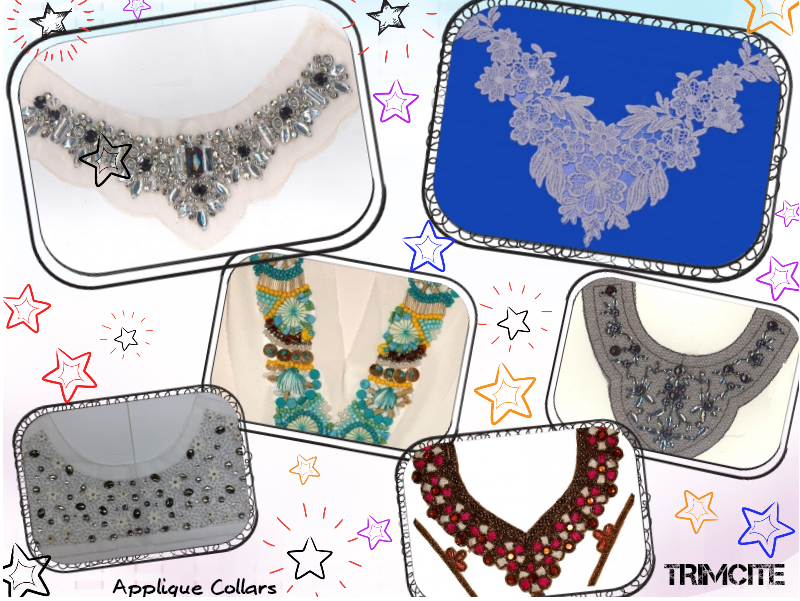 Cuffs and collars and even dress patterns embellished in rhinestones, brocade trim or appliqué. 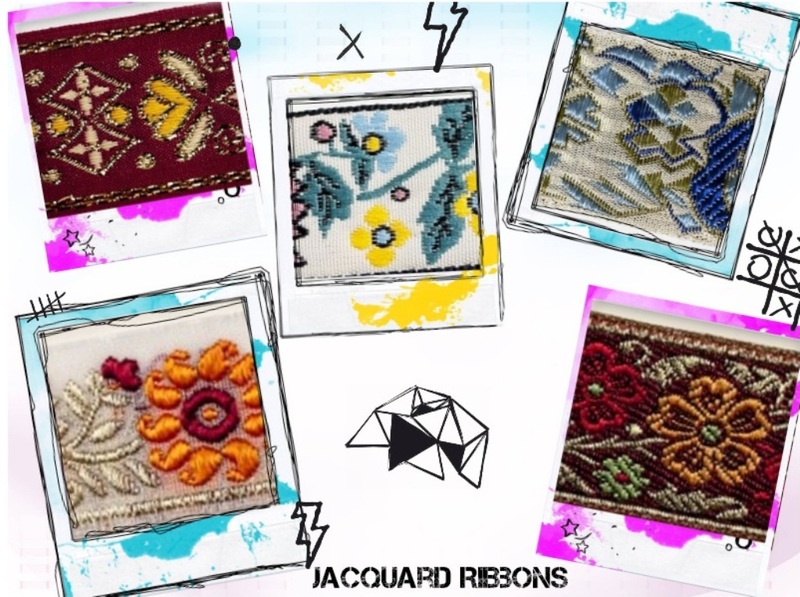 Also, look for more jacquard ribbon to show up on everything from formal jackets to sweatshirts. The indispensable accessory plays a more central role in this season's fashions. 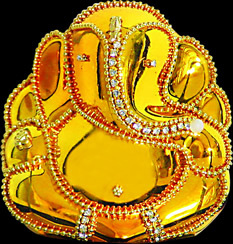 Designers are using trims, piping, closures and more to create works of art that travel with you. With a distinctive nod toward the 50's, head wear is a popular accessory this season. rhinestones, lace and hot fix trims are showing up to crown your latest look. This year's standard cotton cap get a dreamy new makeover with appliqué, lace, ribbons and bows. No matter what fashion trending statement you want to create, you can find what you need on our site or contact us for assistance. We're pretty sure that one reason for the internet is to make you smile. If not, then there are a lot of kitten pics out there with no good reason for being out there. But it's not just cats; there are also four reasons why hot fix should bring a smile to your face. First : Something old becomes something new. When you get out your Iron Box and press it to the crystal side of a hot fix rhinestone piece, hold it there for a few seconds. Enjoy this moment. You are about to transform a tablecloth, a skating costume, a bridal gown or a prom dress into a new creation. Whether it's dressing up something that has been used before or putting a new take on a treasured piece of clothing, this kind of creative recycling is worth a smile. Second: Originality. Mass produced clothing is a fact of life, and it is convenient. Imagine having to knit socks for your entire family! But the convenience shouldn't trap everyone into looking the same way. Standard items like black blouses, neutral skirts and even dress socks are rendered into original fashions depending on the type of hot fix design elements you incorporate onto the pre-existing fabric. 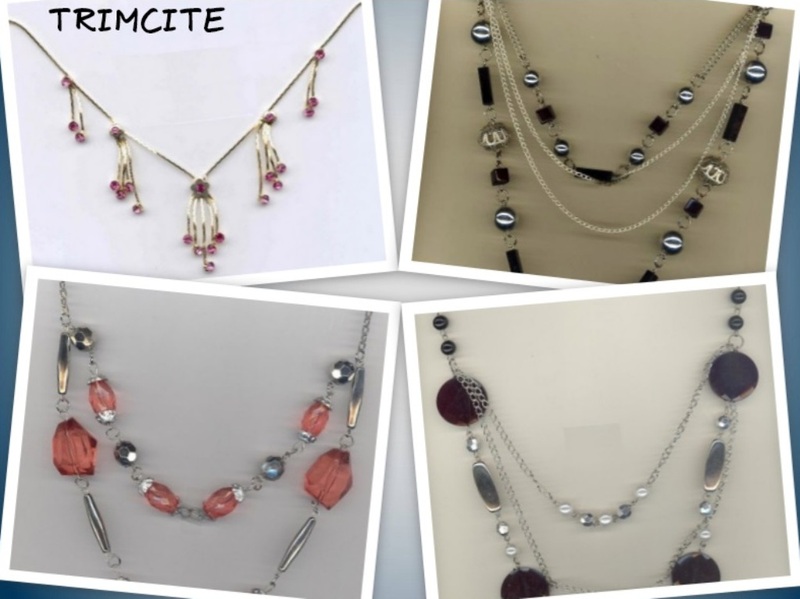 Choose beaded rhinestones for a soft, delicate look. Larger pieces like rhinestone flowers are perfect for blouses and skirts while hot fix squares can enhance straight-edged garments. An original outfit is sure reason to grin. Third thing: Puppy Bling. Decorate your canine friend's collar with hot fix rhinestones. If a sparkling puppy doesn't make you smile, then honestly, we don't know what will. Fourth thing: It's addictive. Ask anyone who has Iron Box and tape, they can't seem to stop. 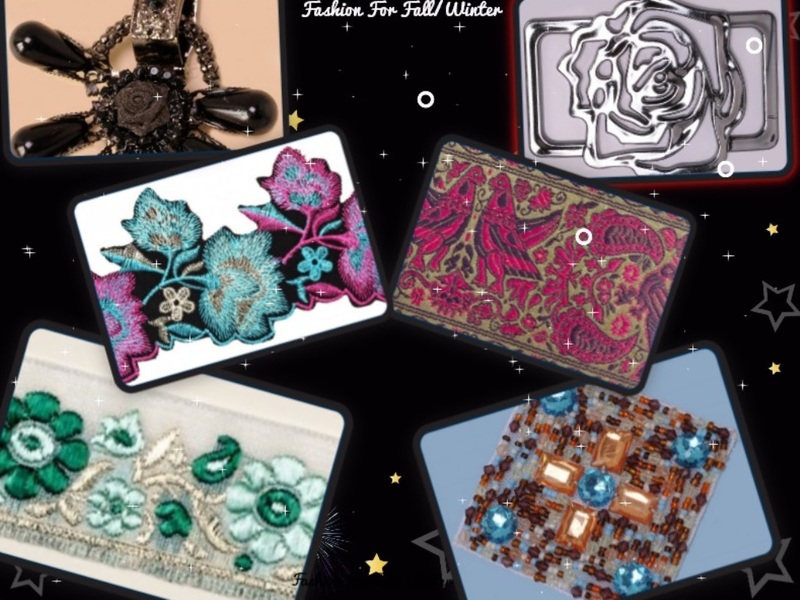 Fortunately for those who can't get enough gleam on their textiles, rhinestone hot fix pieces attach to pretty much any fabric, from cotton to synthetics. Whether you are dressing up a tulle tutu or an old pair of corduroys, hot fix will be a creative option that keeps you grinning. 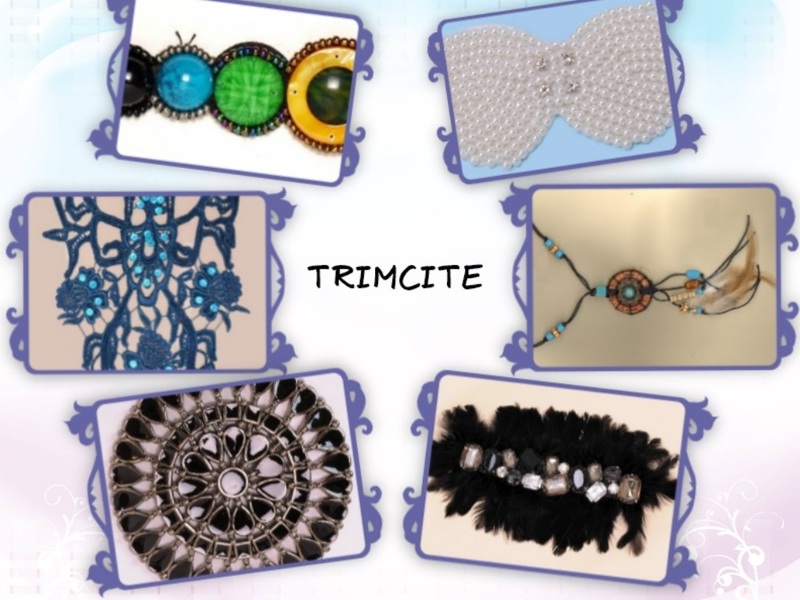 To find out more about hot fix rhinestones, or other design ideas please Contact Us. Thanks.